Within the past 20-plus years, Convoy of Hope has been active in 48 states and provides disaster response, conducts community outreach events, and directs nutritional programs and sustainability projects. Convoy of Hope’s world-distribution center and corporate offices are located in Spring Field, Missouri. This is an ideal location for its rapid transportation of goods and the loads of food and other relief supplies that are transferred to and from the warehouse weekly. Prior to implementing HighJump’s warehouse management solution (WMS), its supply chain was a very time-consuming, manual operation utilizing hundreds of excel spreadsheets. Choosing a WMS for a non-profit was a strenuous process, but HighJump was able to adapt to satisfy its unique requirements and needs. By having the WMS system in place this past fall, Convoy of Hope was able to send containers to feed children in 11 countries, and also respond to 8 natural disasters. Without the warehouse solution in place, the organization would not have had the capacity or accuracy to accomplish all of that at once. 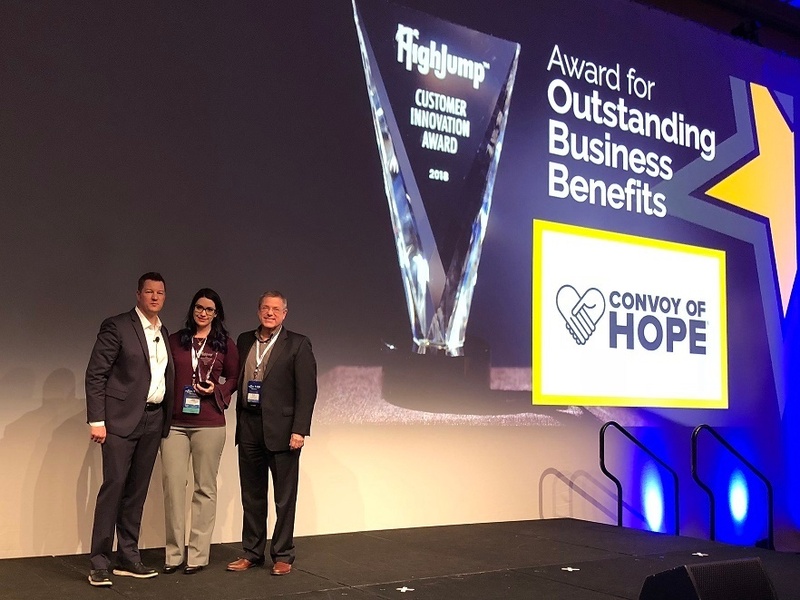 Furthermore, Convoy of Hope has increased inbound and outbound product distribution by 40 percent in three years and has near perfect accuracy in audits. Convoy of Hope has also achieved a 14-year, four-star rating with Charity Navigator, one of the top charity rating organizations in the country, placing the non-profit in the top one percent of charities rated. 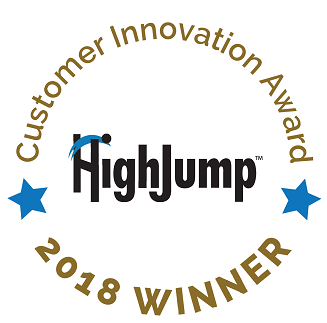 In addition, the faith-based, humanitarian organization was awarded a customer innovation award for Stand-Out Business Benefits at Elevate 2018. An even “faster jump” is next on the horizon for Convoy of Hope. Using the HighJump supply chain solutions, its strategic goal is to increase data integration throughout its organization all around the world. This year, the non-profit organization is on track to meet its 2020 goal of feeding 200,000 kids due to the precision and accuracy of HighJump WMS.